West Side Story is playing this Sunday at Tampa Theatre. This 1964 Musical is yet another modern re-telling of the Shakespearean tale of Romeo & Juliet. 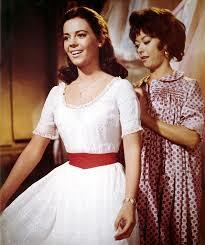 In this version, a young and beautiful Natalie Wood stands out in the part of Maria. Rita Moreno plays Anita, the confidante of young Maria. Moreno won the Oscar for Best Supporting Actress for West Side Story. Although the critics have written that the portrayal of New York gangs “are about as threatening as a charging group of kittens”, still, this is a worthy adaptation of Romeo & Juliet set in a different place and time. West Side Story is part of Tampa Theatre’s continuing Summer Film Series. Shakespeare has been the featured screenwriter for countless numbers of film adaptations of his plays. Many of the most famous ones have seen several rounds and variations on a theme. Romeo & Juliet has gone from the streets of Verona in Italy to the streets of New York and down to the beach. Macbeth has moved from Scotland to Japan and The Tempest has travelled into space in “Forbidden Planet”. 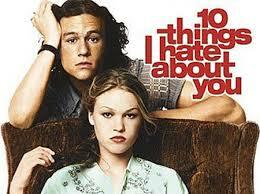 10 Things I Hate about you: One of the best re-works of the Taming of the Shrew plot. This film was made in 1999 and stars Heath Ledger and Julia Stiles. Another good version of the original play was made in 1967 by Franco Zefferelli with Elizabeth Taylor and Richard Burton in the lead roles. Romeo & Juliet: The 1996 film by Director Baz Luhrmann moves the story to Verona Beach with rival gangs. Franco Zefferelli made a beautifully photographed classical version of the story in 1968, with a cast of young stars including Olivia Hussey as Juliet. Hamlet: There are many good versions of Shakespeare’s most well-known play. The classic Olivier film was made in 1948. Director Franco Zefferelli made a version starring Mel Gibson in 1990 that was generally well received. 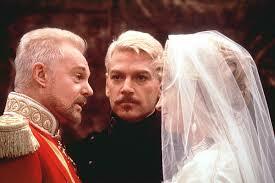 And Kenneth Branagh’s Hamlet was released in 1996. Macbeth: The film by famed director Kurosawa, Throne of Blood was made in 1957. He transferred the story of Macbeth to feudal Japan. Director Roman Polanski made a film version in 1971 of Macbeth. 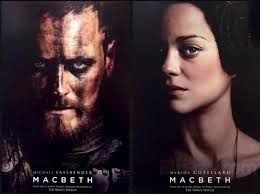 And yet another Macbeth has been re-made in 2015 with Michael Fassbender and Marion Cotillard in the lead roles. 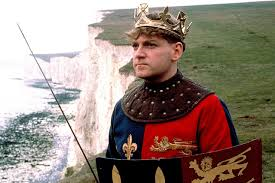 Most critics agree that Kenneth Branagh’s Henry V was one of the best adaptations of Shakespeare ever made into a movie. Branagh also made a good version of Much Ado about Nothing in 1993 starring his wife at the time, Emma Thompson. Films that loosely adapt the story in a fresh and innovative way are the most difficult to pull off, but if successful, are some of the best films to watch. Shakespeare’s endless supply of ideas and commentary on the human condition provide a limitless storyboard for creative directors. 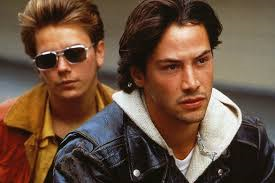 Films like My Own Private Idaho, Chimes at Midnight, Men of Respect, Hamlet at Elsinore, Rosenkrantz and Guildenstern are Dead and Prospero’s Books are proof of just a few of the turns that Shakespeare’s stories may take. 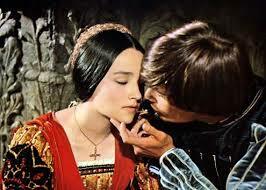 Romeo & Juliet has been adapted many times for film, with at least 13 – 14 major film productions. As You Like it and The Merchant of Venice have been adapted at least 12 times. King Lear and The Tempest are almost as popular as Hamlet, with 13 – 14 major adaptations to date. But the plays most adapted to film of all of Shakespeare’s works would be either Macbeth or Othello, both with between 15-17 major film adaptations of the Shakespearean tragedies.